Teamwork Concept Using White Puzzle Pieces Being Fitted Together By Three Male And Female Hands In A Challenge, Brainstorming And Solution Concept. Фотография, картинки, изображения и сток-фотография без роялти. Image 40060058. 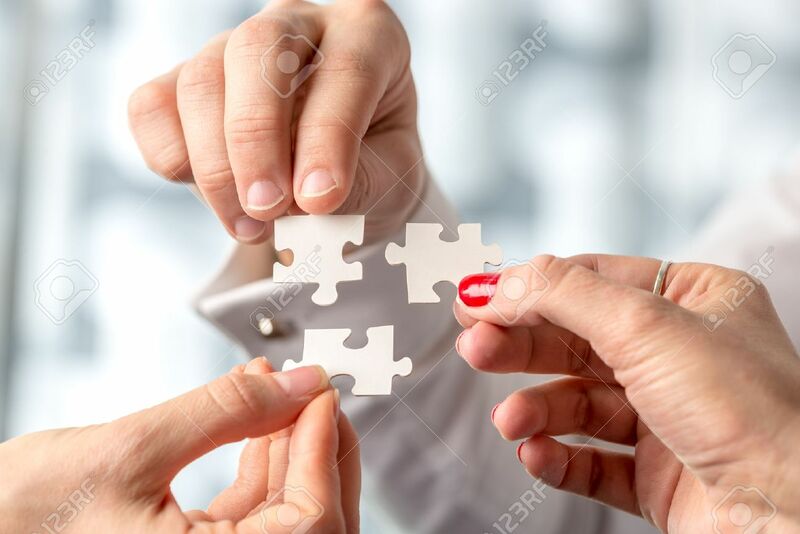 Фото со стока - Teamwork concept using white puzzle pieces being fitted together by three male and female hands in a challenge, brainstorming and solution concept. Teamwork concept using white puzzle pieces being fitted together by three male and female hands in a challenge, brainstorming and solution concept.